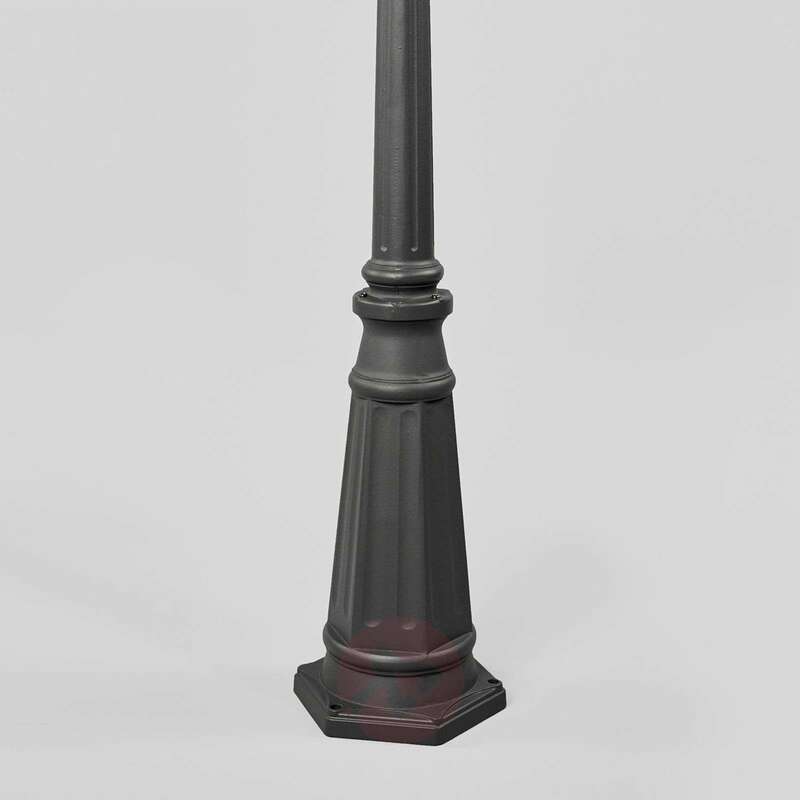 Edana is a street light that is made in the style of classic lanterns. 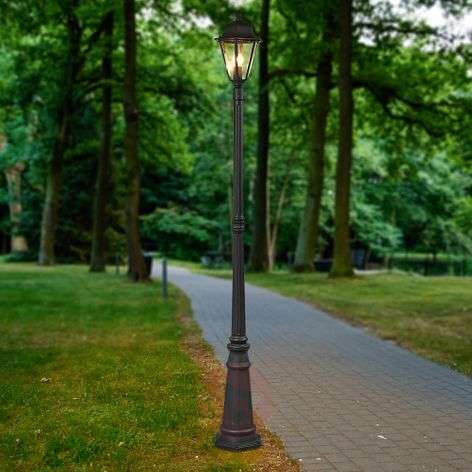 It used for lighting gardens and parks, thus creating a convincing nostalgic flair. 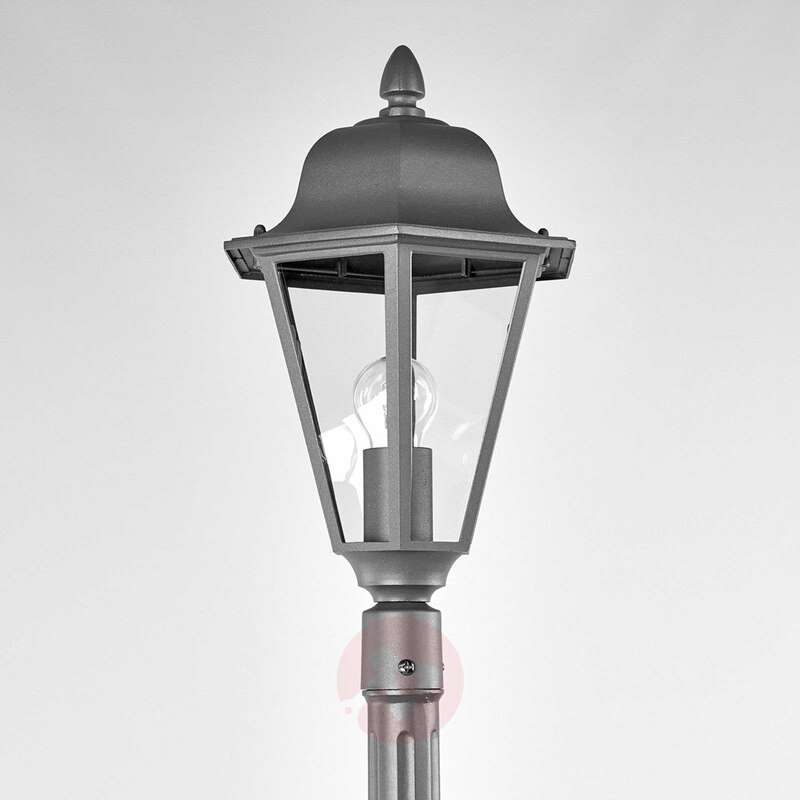 Thus, the street light fits perfectly with historical environments, where it can come up with pretty details and always meets its purpose of providing sufficient brightness in the outdoor area. 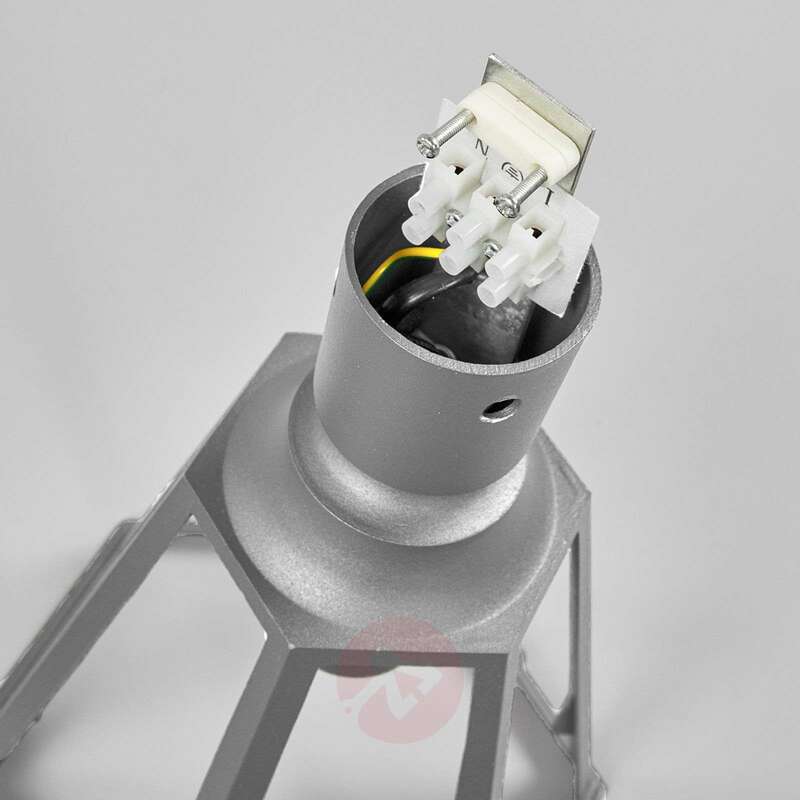 It must also be mentioned that the built-in E27 socket allows use of a suitable bulb of choice, because of the wide range offered, whereby also the energy-saving LED lamps can be used. 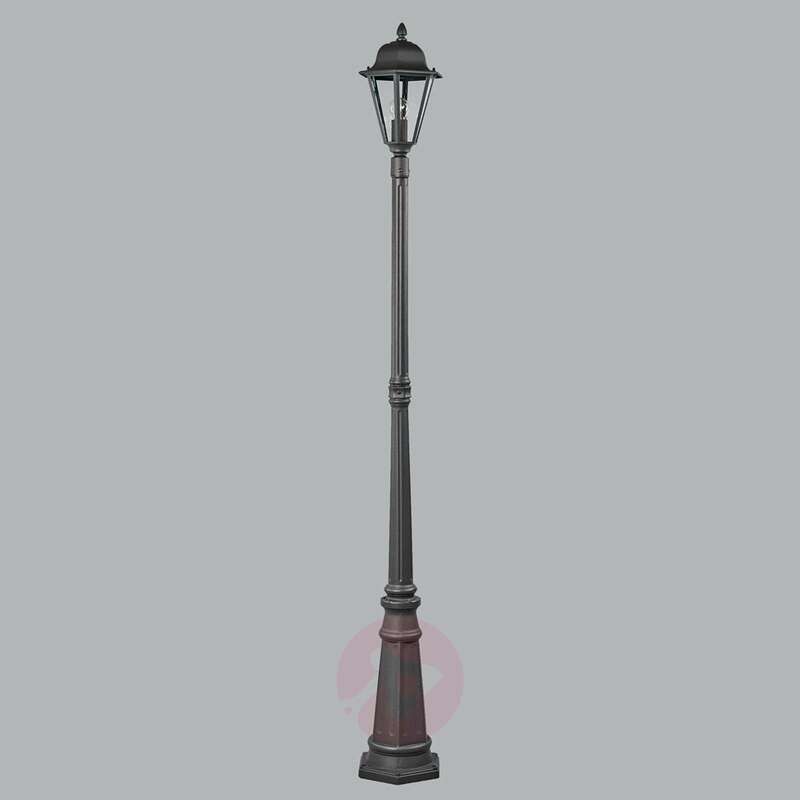 What is the height of this lamp? This light is 211cm high. Unfortunately the cable runs through the column and therefore nothing can be mounted to it. Does this light have to switched on when it is dark . 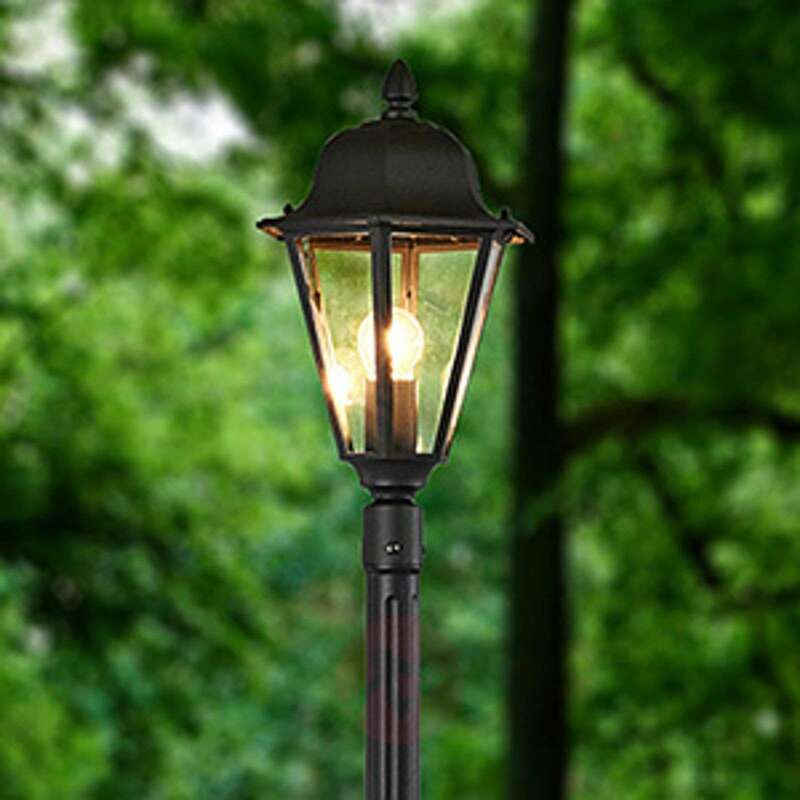 Yes, this light does not have a motion sensor so you have to manually switch it on when it gets dark out. The lights have completed our patio. Very satisfied with these lights. 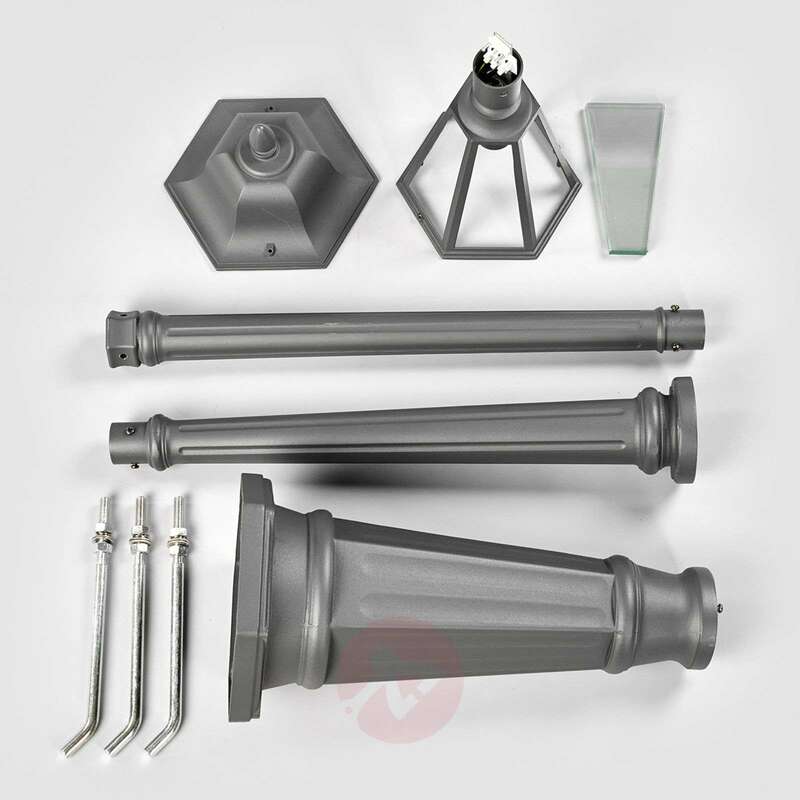 They really enhance our patio and at a recent party many people commented on how attractive they are.